WordPress makes upgrading very easy . You simply click "Update now", wait for a minute or two and your system is up to date. If, well if everything works fine. The most common problem during an upgrade is the Internet connection to drop unexpectedly or the user to shut down the browser unintentionally. In both situations the upgrade will stop instantly. "Briefly unavailable for scheduled maintenance. Check back in a minute." This message is useful to keep users away from your blog during the upgrade but right now it's keeping you from restarting the upgrade. To solve this problem we have to take a look at how WordPress determines that it's in maintenance mode. WordPress is looking for a possible maintenance mode very early to prevent the system dying from any fatal error. So it using a very simple method by writing a file called .maintenance to the WordPress root directory. If the blog or backend is accessed it will check for the file and stop if it's present. Knowing this the solution to our problem is quite simple: access your WordPress system via FTP and delete the file .maintenance. If you're not able to log in to your server via FTP for some reason there is a second method for escaping from maintenance mode: simply wait 10 minutes! The file .maintenance contains a timestamp of the time the file was created. If this time is less than 10 minutes ago WordPress will go into maintenance mode otherwise it will continue to work as usual and enable you to restart the upgrade unless something worse keeps it from starting. Action triggered after all automatic updates have run. Filter the debug email that can be sent following an automatic background core update. Filter whether to notify comment authors of their comments on their own posts. Include additional elements in the 'At a Glance' dashboard widget. This widget was previously 'Right Now'. Filter a user contactmethod label. A list of all new hooks can you also find in the hot list of WP Seek. Every Day A Post of WordPress Tips and Tricks until Christmas! The time has come and our loyal reader know already our traditional Advents Calendar. For the people who don't know, every year we had in December each day, until the 24th (Christmas Eve in Germany), a post with specials, tips, tricks, plugins, tutorials and so on. Since it is quite a lot work to accomplish 24 high quality posts, we asked some of the finest WordPress Experts in Germany if they would like to contribute some ideas and great posts to it every day. Back to the Future - How wp_date_query Works! Is there a maximum size for WooCommerce shops? Ghost-Installation with Windows – What You Need to Know! WordPress becomes 10 – free Infographic! Multilingual WordPress with Multisite? Yes! So check out the daily posts on inpsyde.com and enjoy! More information about this tradition and what you can expect for the next 24 days can be found here! 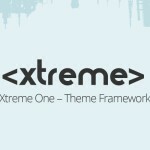 Download the new Xtreme One WordPress Framework for free and test now! With pleasure we can now announce that Xtreme One 1.6 was released as a beta last week! Xtreme One WordPress Framework gives you the freedom to easily create your WordPress Themes. No more inflexible layouts or having to change the code all the time. With the powerful framework you are able to realize your ideas very quickly. 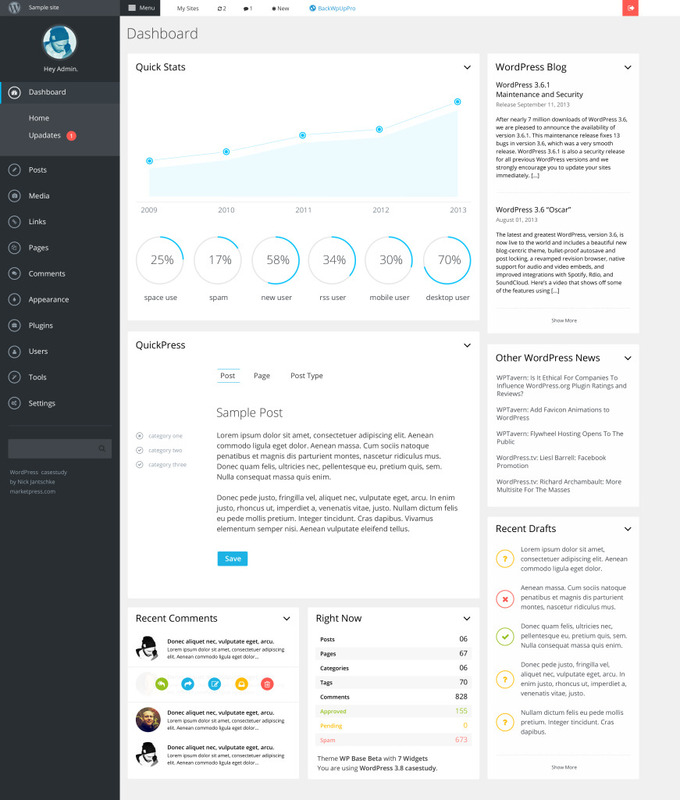 Xtreme One is the world’s only WordPress framework that allows solid, fluid and flexible layouts. With Xtreme One 1.6 also comes the possibility to adapt Xtreme One Widgets to your own needs or create custom widgets, an example is supplied in /xtreme-blank/ Child Theme. The Grid post widgets now support custom post types. Therefore an infinite number of options are available with just a few clicks to reposition content. Using the unique content widgets you can integrate any widget in the post editor. Of particular interest would it for portfolio websites, certain posts in multiple columns responsive and fluid. Xtreme One comes with 15 awesome Widgets, try out all of them and you will be amazed! You can find more information about the powerful WordPress Framework here! Meet Us At WordCamp Europe! This weekend Frank and I will be attending and speaking at the first ever WordCamp Europe in Leiden near Amsterdam, Netherlands! We are really thrilled to be there and can't wait to meet all the WordPress Gurus from all over the world and see some really interesting sessions! Frank and Toscho will have a presentation about our MultilingualPress Plugin, a great solution for WordPress with multilingual functionality. Since the very best comes at the end, they are scheduled to be the last presentation on Sunday at 16:45 "The State of Multilingual WordPress". They will show how easy it is to use a WordPress Multisite and create a multilingual website. We are really excited to see many of our friends and other WordPress enthusiasts, as we are, at the event. The participant list is a who’s who of WordPress experts. It will surely a great and interesting weekend! WordPress Backend Design Study – An Alternative to MP6? Our designer and usability expert Nick at marketpress.com did a design study on the coming WordPress backend design MP6 for version 3.7 and tried to analyse what can be done better and how! The dashboard is the least used and yet most needed page in the back-end. Why?